Οι Animal Drive μας έρχονται από την Κροατία. Διατείνονται πως "παντρεύουν" την hard / heavy μουσική με το progressive. (Κάτι σαν Whitesnake ή Skid Row με στοιχεία Dream Theater ή Symphony X.) Ως επιρροές αναφέρουν τους: Whitesnake, Black Label Society, Iron Maiden, Dream Theater, Symphony X, Alice In Chains, Skid Row, Guns n Roses. Δελτίο τύπου: «Croatian hard rockers Animal Drive are preparing to begin work in earnest on the follow-up album to their stunning debut, "Bite!". 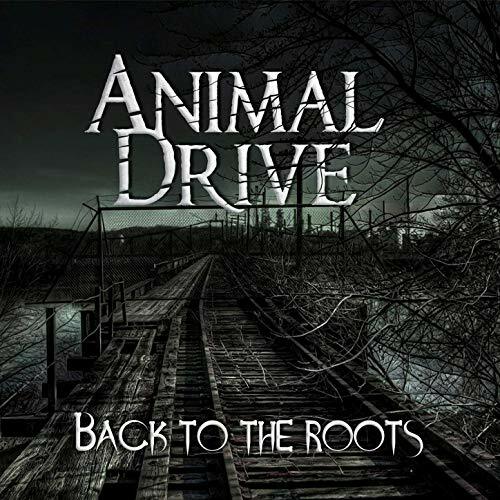 To hold fans over while they wait for the band's new album, Animal Drive jumped in the studio to record a covers EP, “Back to the Roots”. The tracklisting includes a super-heavy rendition of Roxette’s “The Look” (featuring the guest vocals of Frontiers labelmate and fellow Trans-Siberian Orchestra artist Rosa Laricchiuta), a magnificent and epic version of Whitesnake’s “Judgement Day”, Skid Row’s “Monkey Business”, and Warrant’s evergreen classic “Uncle Tom’s Cabin,” Animal Drive showcase how much musical prowess the band possesses by covering these three hard rock classics and a mainstream '90s hit and completely making them their own. Animal Drive's debut album, “Bite!” caused quite a stir in the hard rock scene, showcasing for the first time to the world the amazing vocals of Croatian singer Dino Jelusic. Originally formed in 2012 by Jelusic, who is the primary songwriter and driving force behind the band's sound, the band also features guitarist Ivan Keller, bassist Roko Nikolic aka Rokindja, and drummer Zvonimir Mihaljevic aka Zvone. Dino was chosen by the late, great Paul O'Neill to tour as a featured vocalist on Trans-Siberian Orchestra's most recent U.S. tours. Often compared to the likes of David Coverdale, Russell Allen, Sebastian Bach, and Steve Lee, Jelusic's commanding vocal presence is perfectly matched in Animal Drive's sound by guitarist Ivan Keller's monster riffs and screaming solos, and the thunderous rhythm section of Rokindja and Zvone. 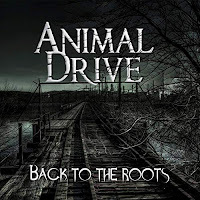 Overall, Animal Drive showed, on their debut album, an impressive range of styles from Whitesnake and Skid Row at their heaviest to more modern hard rock/metal like Avenged Sevenfold and Alter Bridge to touches of progressive rock and metal elements the likes of Dream Theater thrown in the mix. The final result is melodic yet always very much possessing the hard rock "in your face" attitude. Dino Jelusic: «People used to, and still do sometimes, compare Animal Drive to Skid Row and their "Slave To The Grind" era. That song opens the "Slave To The Grind" album and it’s a monster jam, so it felt like a logical fit. Of the other covers on "Back To The Roots", Jelusic continues, "the other three songs are "Uncle Tom’s Cabin" by Warrant, "Judgement Day" by Whitesnake and "The Look" by Roxette. I've always wanted to cover "The Look" in a heavy way, so it was cool to finally do it. We are big Whitesnake fans and had to go for one of their more epic jams. The Warrant song is one of their absolute best and shows what a great songwriters Jani and the band are, plus it's a great fit for a heavy band to cover. Album: "Back to the Roots"